Before Agile development gained its popularity, the Waterfall principle was the primary system for development. Projects would start with tons of documentation explaining the idea itself, every single feature to be implemented or designed — literally everything. Once you were done with the paperwork and had discussed everything with the development team, the work began. The product would go back and forth until everybody was satisfied, and only then would it be released to the public. You can imagine how many months, or sometimes even years, it would take to complete a project. The worst thing was, by the time it was finished, someone would have already released something better, or the idea simply became old. Lots of time, money, and effort were spent, and all in vain. 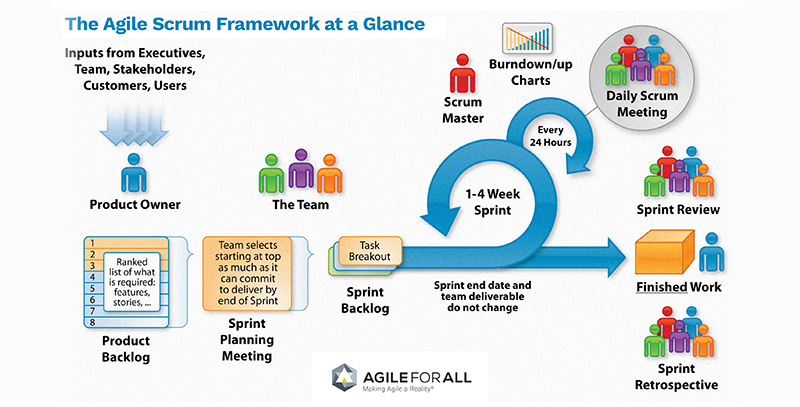 Agile was a game changer. Things started moving faster and much more efficiently. Why? It was all due to the way the Agile development works. It’s flexible, it’s adaptive, and it’s fast. This served as the basis for introducing the concept of an MVP (Minimum Viable Product). How does an MVP work? When defining an MVP, many people imagine something that is unfinished, something that might not even work properly, or might simply be a prerequisite to a future outcome. The truth is, if created wisely, an MVP is not just an idea of something, it’s a ready-to-use product. It might have limited options compared to what is expected in the end, but technically, it is finished and completely usable. It’s the core base – a little gem for customers to whet their appetite for what’s coming next. Another common mistake is to think that an MVP should be released as soon as possible. In reality, an MVP should be released whenever there is enough to start with. The basics are enough to show how promising and amazing the idea (or its potential) is. There is no ultimate success strategy for building an MVP. The list of necessary features, as well as deadlines, will depend on the market targeted, the ultimate goals for the product, TAs, and competitive niches. That is exactly what you need to communicate to your team. Why is an MVP so important? One of the most obvious reasons is money. Building a fully finished product with every single possible feature integrated into the product before launch, a significant investment is necessary. There is no guarantee that it will ever pay off. With a minimum viable product, a significant amount of time and money are saved. Results are seen much sooner, and can be adjusted to accordingly. Direct feedback from your target groups is immediate and is useful to monitor progress. That’s why it’s crucial to have the proper knowledge of how to create an MVP. Secondarily, if introducing something completely new, building an MVP is a great way to see if it’s actually going to be benefical: whether the market is interested in buying this new product. This is a good idea for getting relevant information on project next steps; users will give their thoughts when given a chance to leave feedback. In addition, the smaller your product is, the easier it is for you to divide your attention between various business responsibilities, and the faster you can adjust to any changes in the market once they appear. How do you decide when it is time? How do you know what should be included in your first launch? Let’s look into this and see what the must-haves are for a successful start. How do you choose the core features for an MVP? You may have tons of ideas for your new service/product. But, be honest when questioning yourself. What are the main parts of your product? What are the features your product can’t exist without? That’s your foundation, and that’s where you start. Before you go into distinguishing where to begin, ask yourself a few questions. Who is your main customer? What do they want? And, how will they use your product? Start with “who?” Who is the customer you want to get ahold of initially? What is most important about them? For example, their age, gender, or lifestyle. What does this person want that your product would help them with? Then, try imagining yourself in their place. What would be important to you? Now, you have an idea of who your early adopters are. The next step is to develop a list of features. Write them down, and while writing split them into “must” and “nice to have” categories. All the nice-to-haves you can instantly put aside. This doesn’t mean you’re never doing them, but they are unnecessary for the MVP. Now, run through your list a few more times to see if there is anything else you can save for later. If possible, give it to somebody else to look at. A fresh look can lead to some good ideas. Just keep in mind that it doesn’t need all the bells and whistles, but it has to work properly. Think of it this way: if you are lost in the forest, it does not matter what color your phone is or how wide the screen resolution is, as long as it has reception, and you can make a call to get help. One more reason to cut out certain features from the MVP is the cost. If you are on a tight budget, look through the costs of your features and exclude the ones that exceed the budget. If you are absolutely positive that the feature is a must-have, try to look for alternatives or ways to reduce its costs. When you’re finished with this process, you will have your very own MVP functionality list. If what you are building is something utterly new on the market, with nothing to compare it to, you will not have any problems with competition. At least not at first. However, most products will have to keep up not just with their customers’ interests but also with other businesses. Does it make sense to launch an MVP with fewer critical features than your competitor has? They already have it up and running, which means they already have a pool of customers using their product. So, you need to be competitive. This might mean that your MVP will include quite a few features, and will take longer to build. For a startup, this might not be an easy task to handle. It is of the utmost importance that you find a way to get certain pieces of critical information before you kick things off. This will require a bit of digging. You can look at the reviews and feedback on your competitor’s product to fish for ideas and see whether people are satisfied or upset with the product. In the modern world of the Internet, users are very generous with sharing their opinion. Another option is to try it out, get an idea of what you are dealing with, and think about how you can improve on it. Then, apply these ideas to your own product. However, be careful here, remember that you don’t want to simply copy something that already exists, you want to make it better. There is no need to repeat all of the options your competitors provide. Think critically, and figure out what can be eliminated without affecting the functionality of the product and your future profitability. When you’re building a house, you can’t paint the walls if there are none. Imagine your future MVP that way. Think about what the key features are in your competitors’ products that make them appealing to customers. Stick to that one theme–sometimes, less is more. It’s not enough to just choose MVP features, you need to make sure your choice was the right one. To see what is working for you, you will need a way to monitor your clients’ reactions to the service. This is a way to communicate with them and collect their feedback and suggestions. Don’t be afraid of criticism, complaints might actually help you the most throughout the process. First of all, you are just starting out. If somebody says something is missing, thank them for their suggestion. If it’s not on your list yet, go ahead and add it. 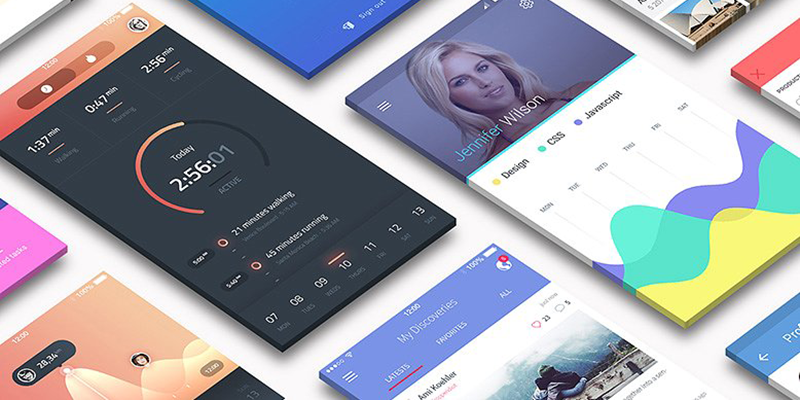 You can later evaluate the importance of the feature depending on your own judgment and the number of requests received for its implementation. Collecting statistics is a very useful instrument for deciding on future features. You will see how many customers are interested in each feature. The same principle can be applied to bug fixes and improvements, especially if you have a very limited budget and limited resources. You don’t have to collect information purely via direct interaction, though. You can also use analytical tools that will show you which options are used the most. In this way, you can get a pretty good idea of what works best, what you should work on next, and what can be eliminated in the product entirely. 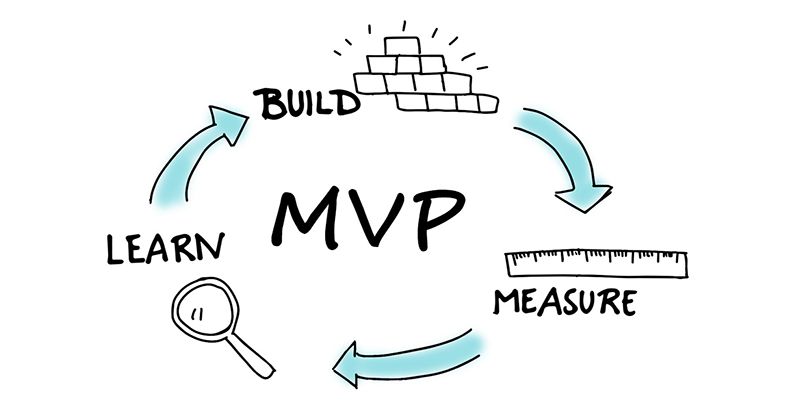 Building an MVP can be a great way to start your business. It can help you see the greatest rewards with the least possible risks. However, don’t mistake minimalism for low quality. To get through the launch and move forward successfully, you need to plan carefully and think critically. Make sure your MVP is simple and easy to use but gets the job done. Every product is different and there is no golden rule for achieving perfection. If you keep asking yourself the right questions concerning why your product exists, how it should look, and how it should work, you will reach your goal. In the beginning, some of the features you have considered for later use might prove to be useless, or better off replaced by something more important. But your core is your most valuable part, it’s a basis for everything you are going to build in the future. If you choose the wrong functionality, or the functionality doesn’t work properly, you may have to start all over again. So, be critical, think carefully about who the product is aimed toward, what problems it should help solve, and how those problems should be solved. Learn from what is already available, and don’t forget to collect and process information.